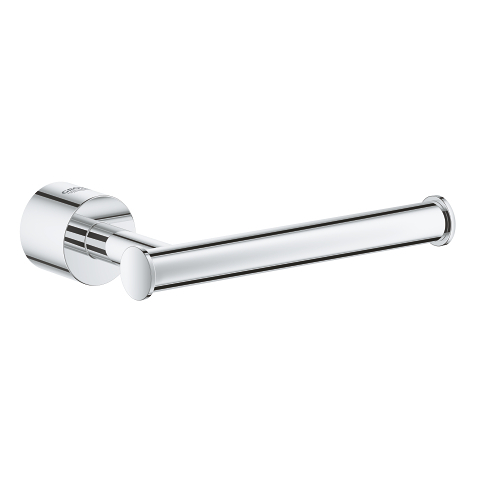 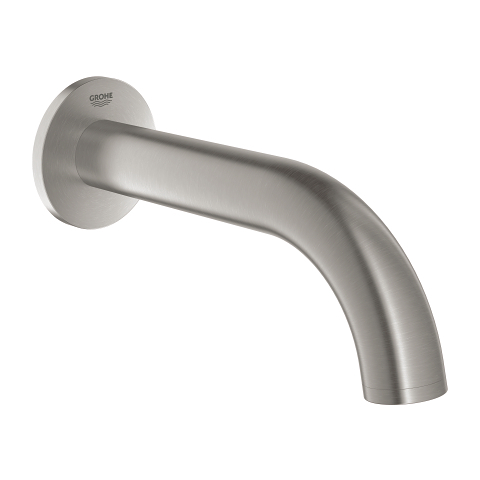 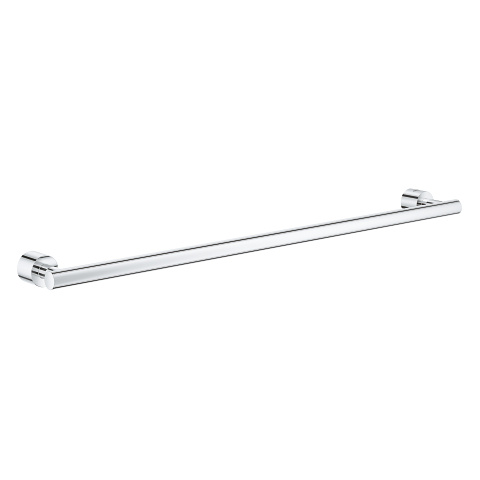 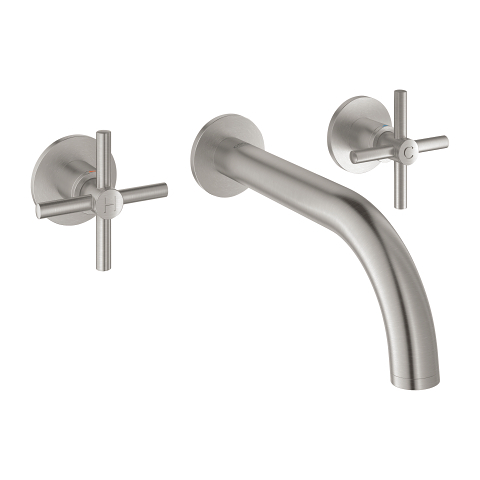 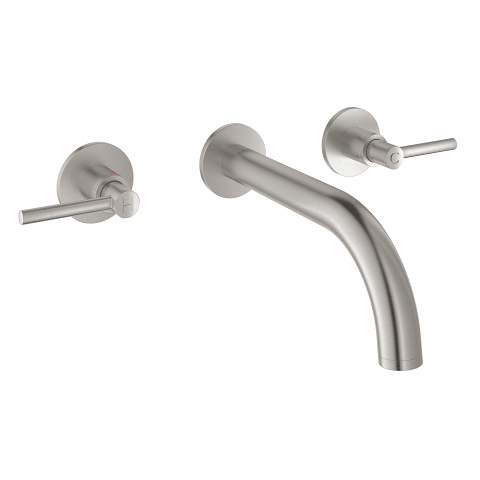 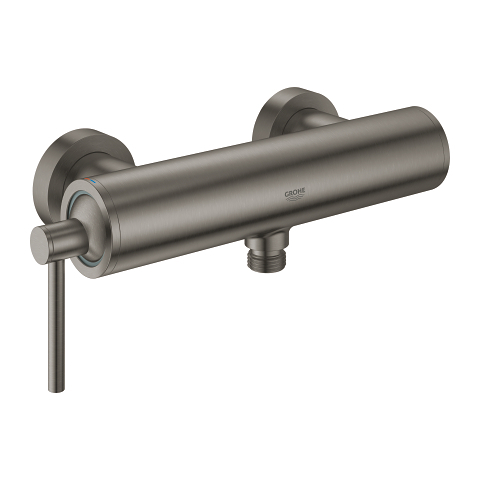 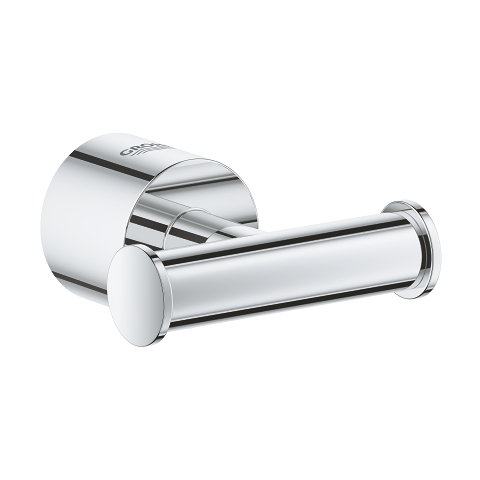 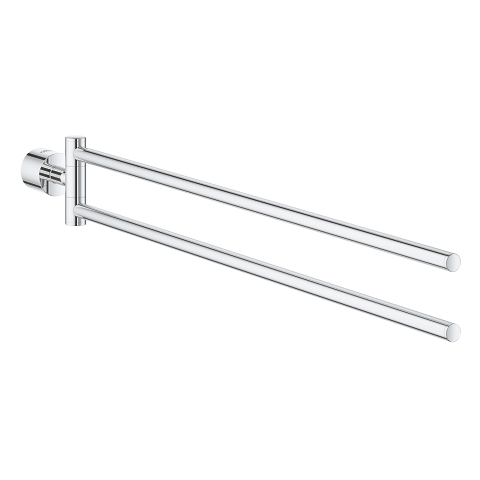 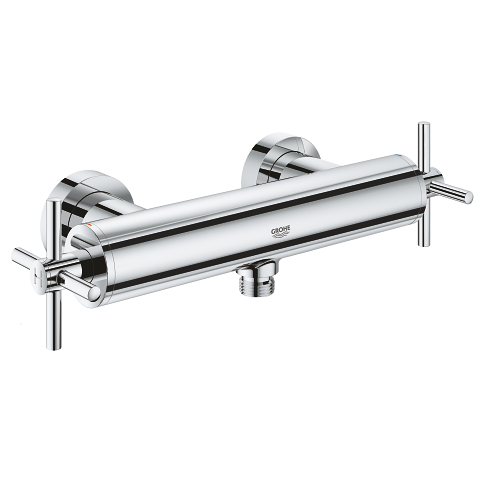 This GROHE Atrio single-lever mixer trim set in a chic, minimalist body gives you the perfect way to enhance your shower or bathtub. 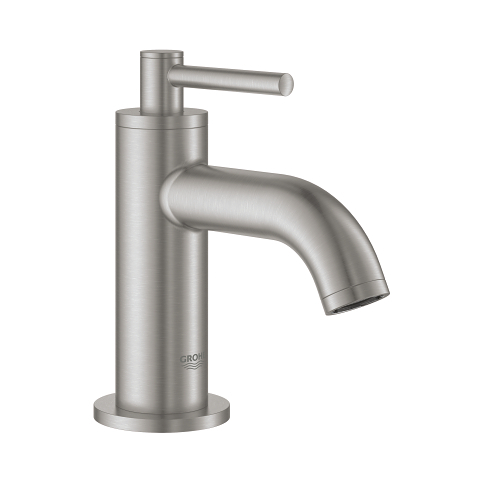 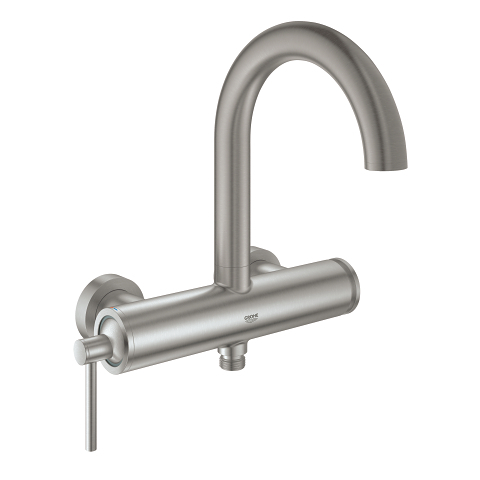 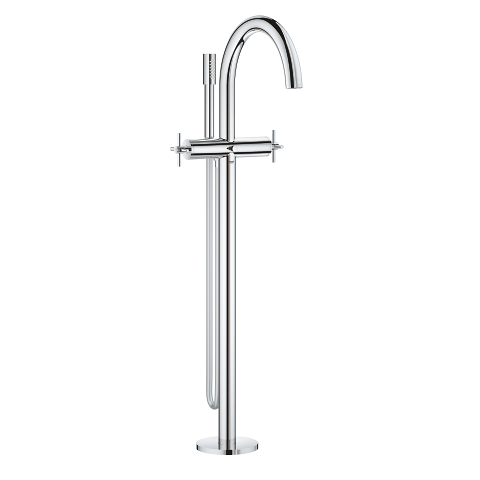 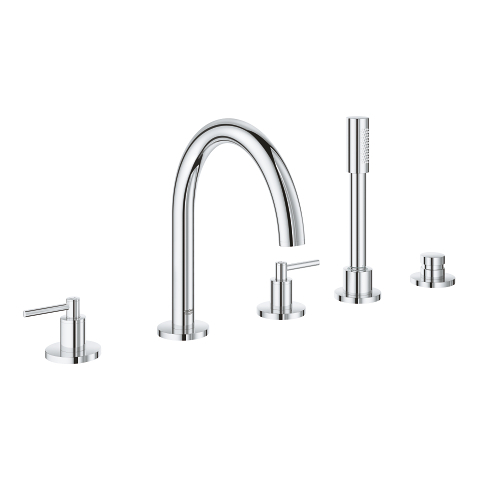 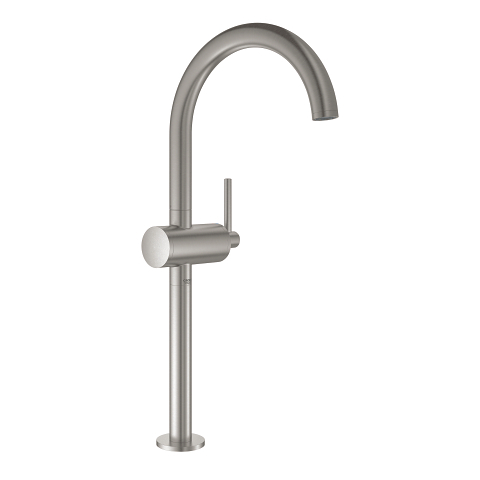 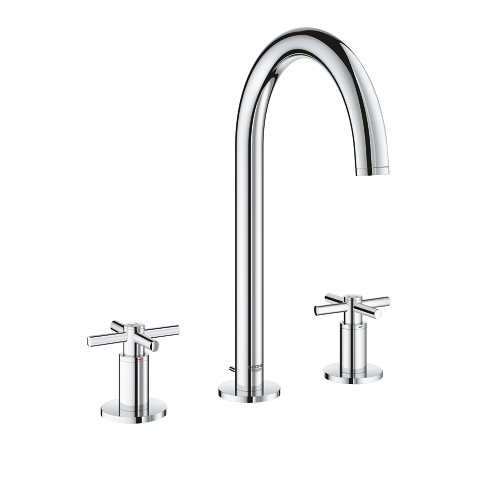 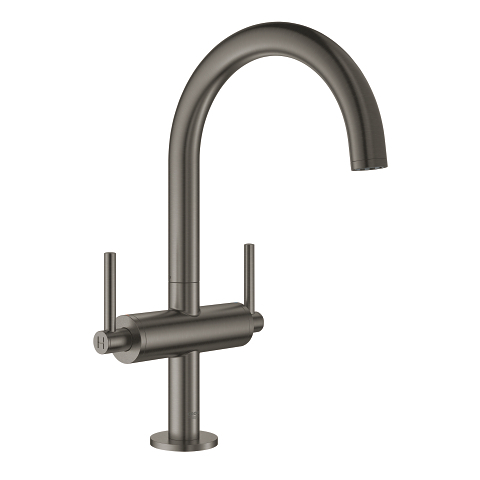 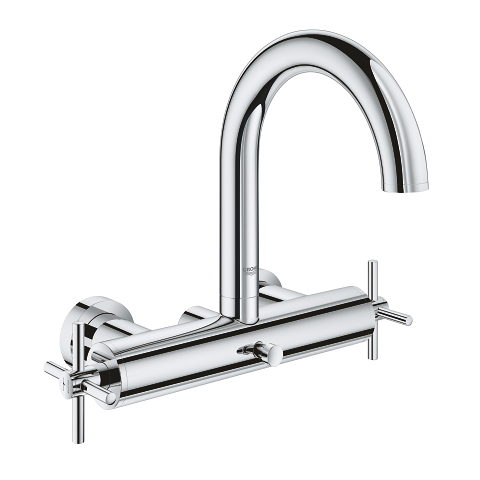 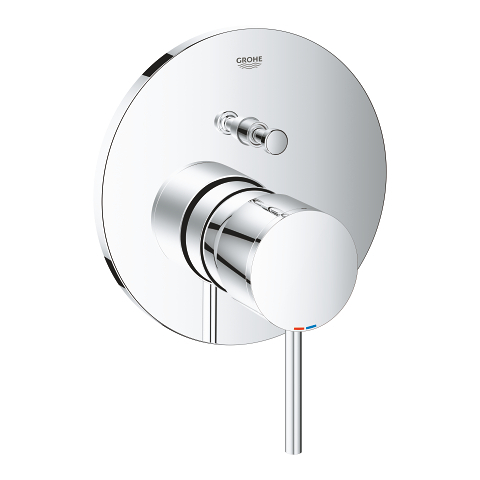 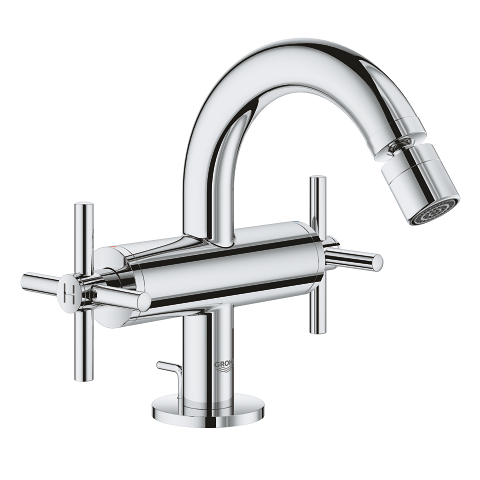 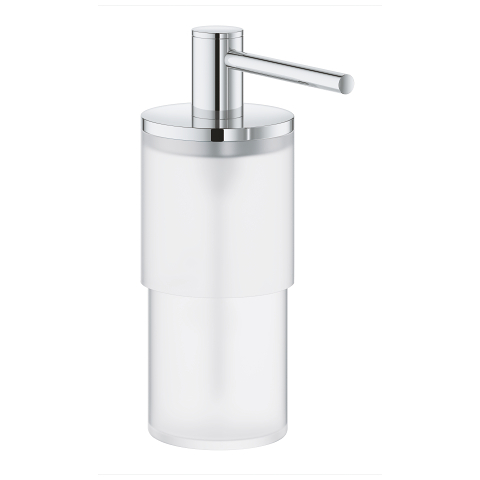 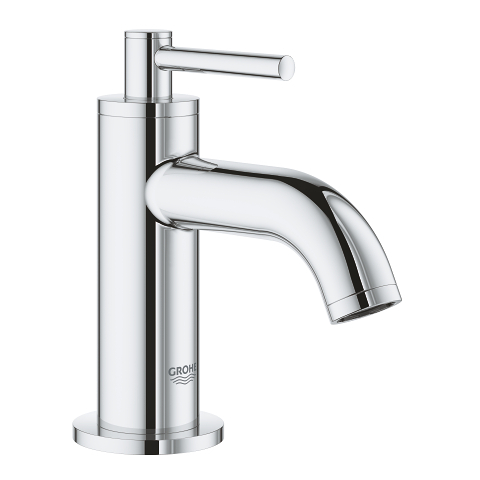 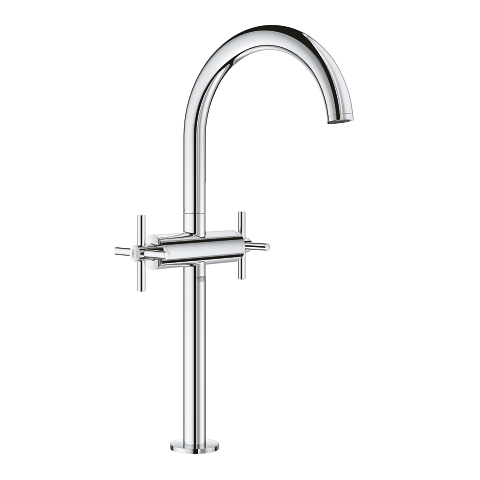 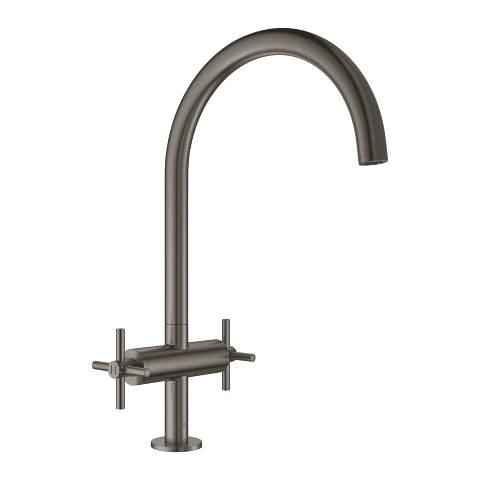 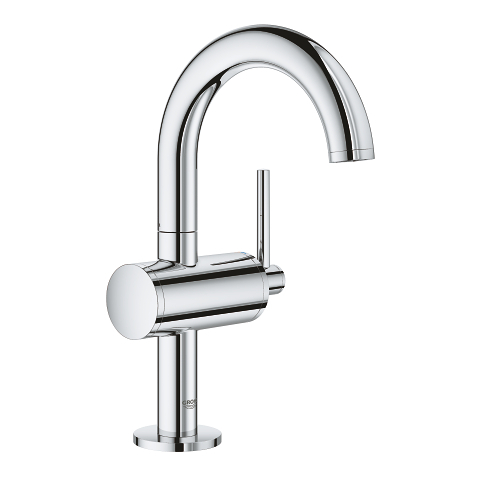 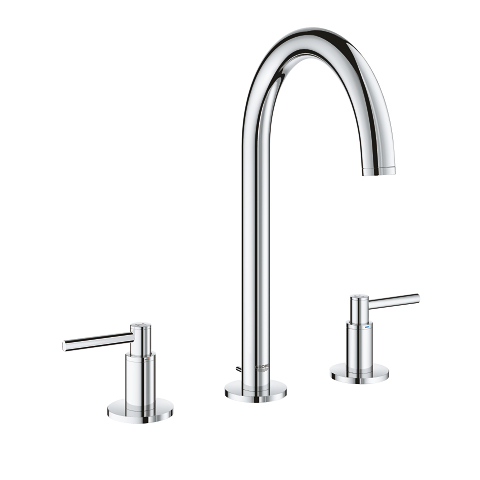 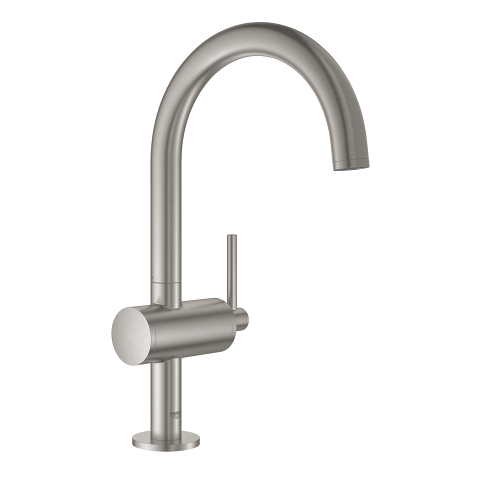 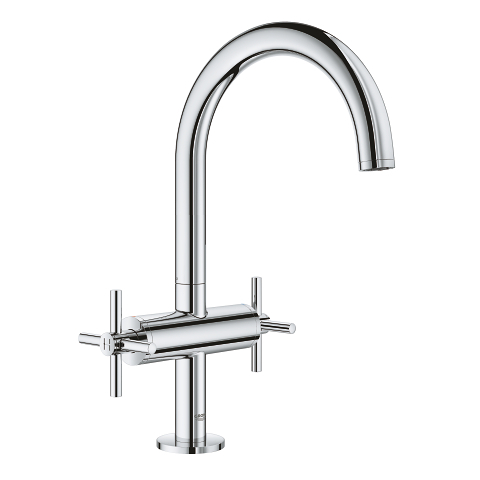 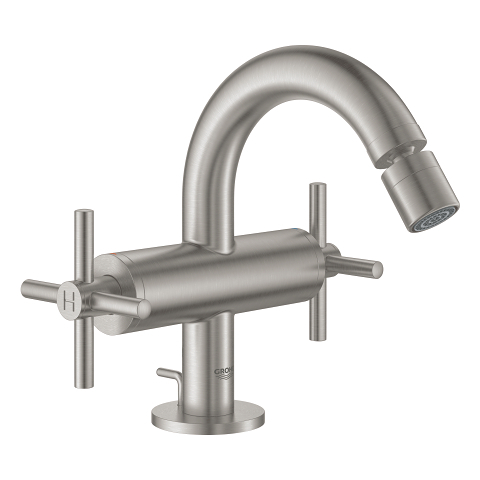 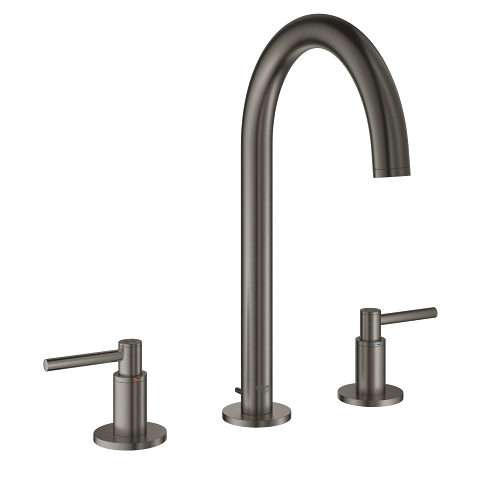 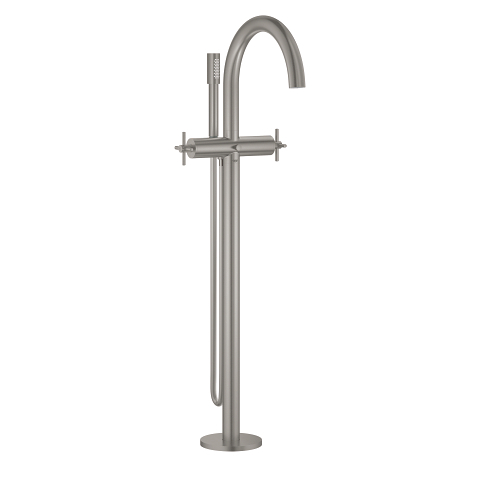 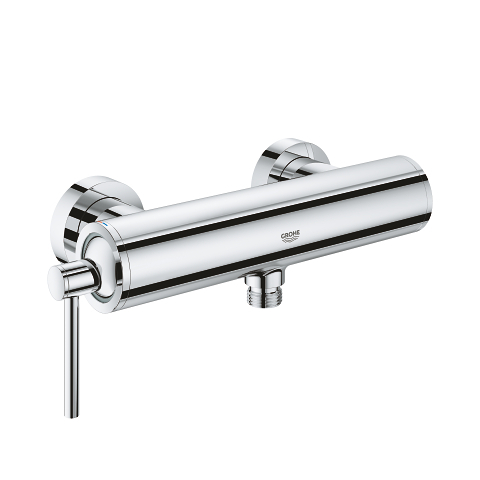 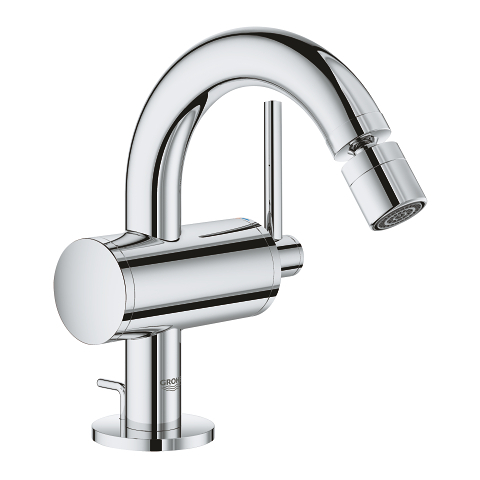 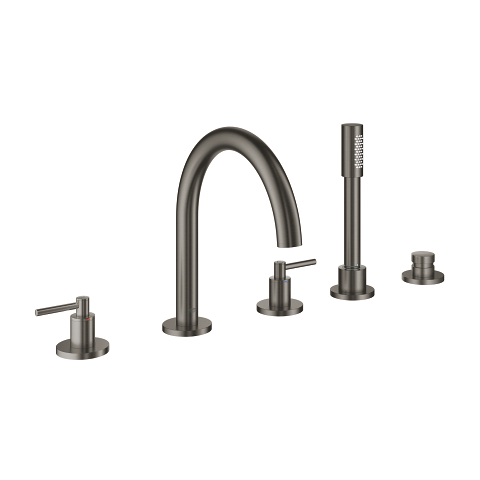 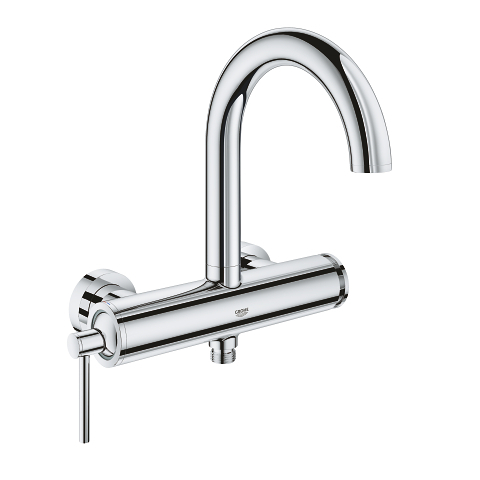 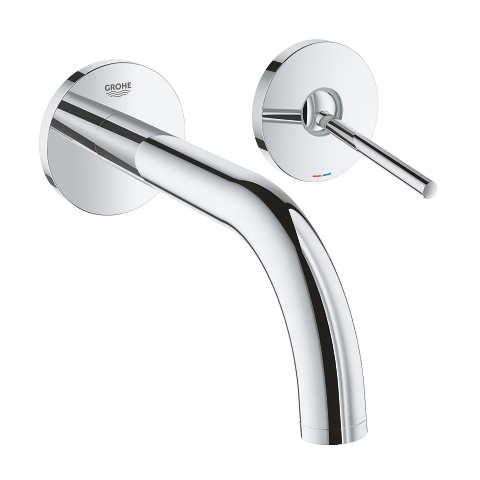 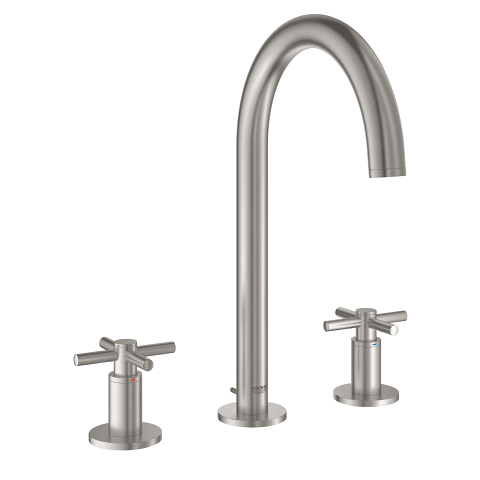 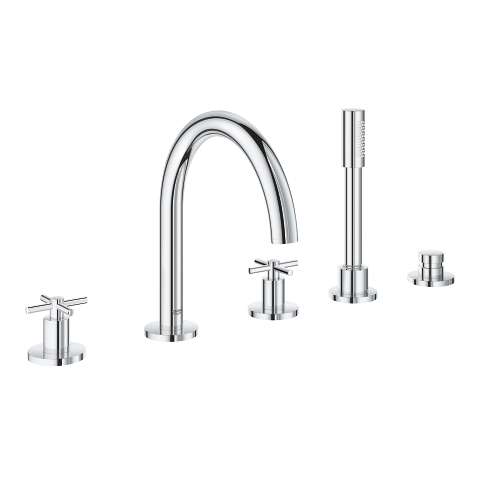 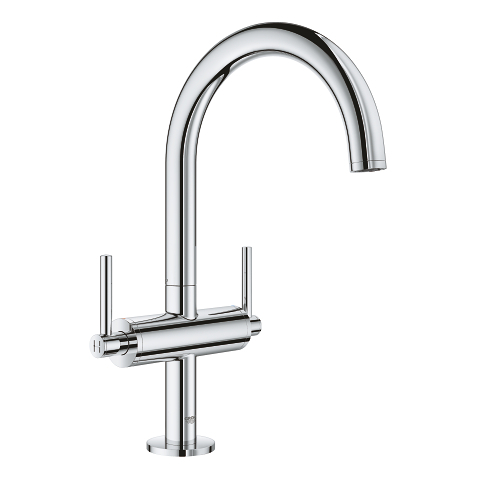 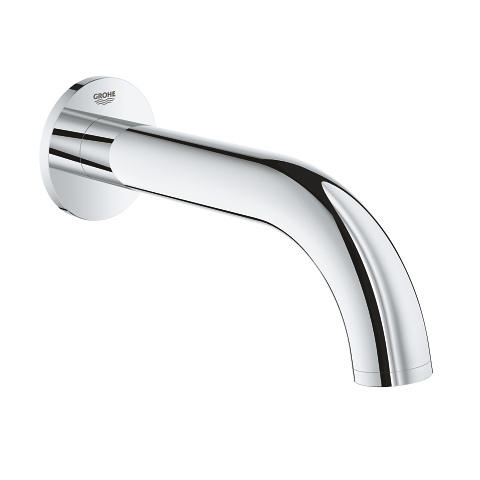 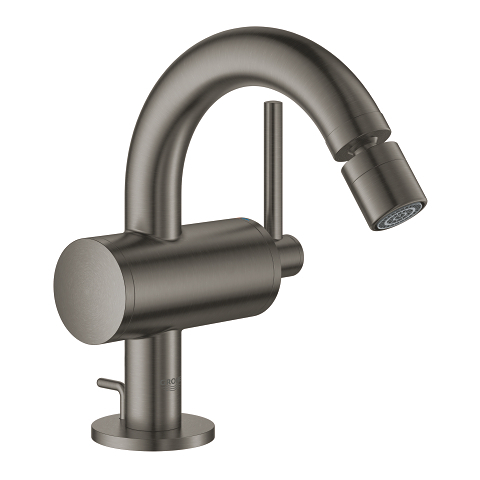 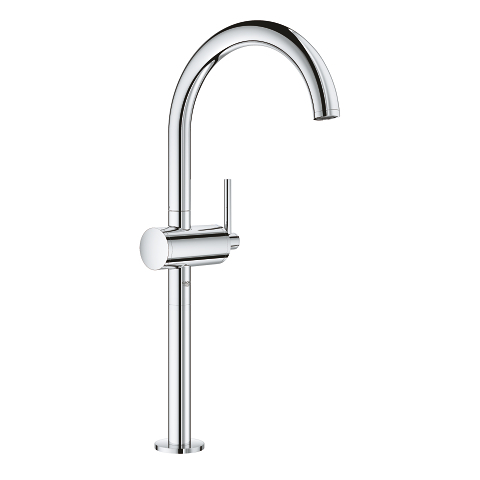 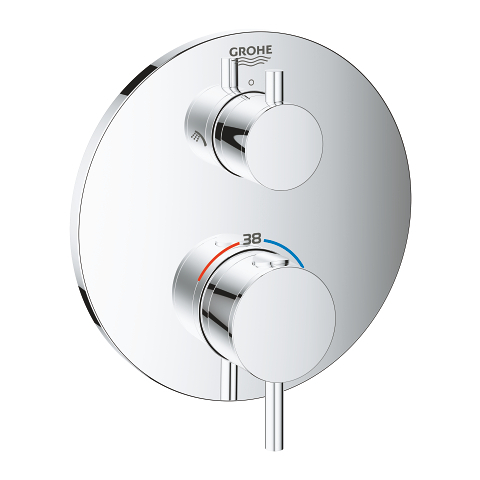 Made in Germany, GROHE’s Atrio presents an iconic silhouette, design with timeless, precise simplicity. 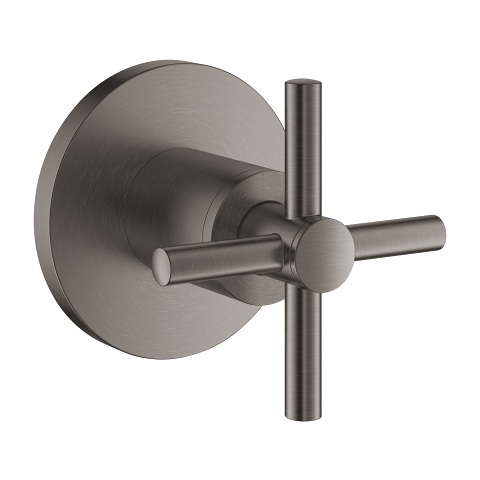 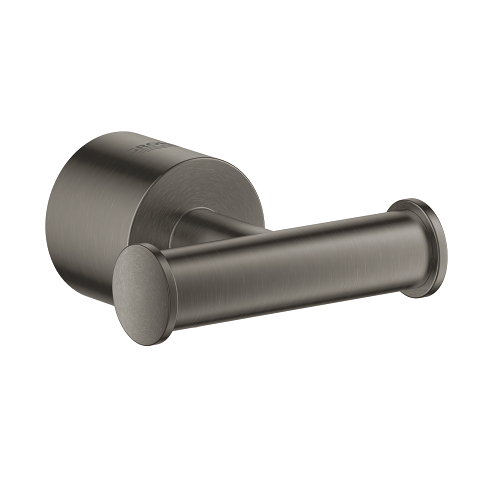 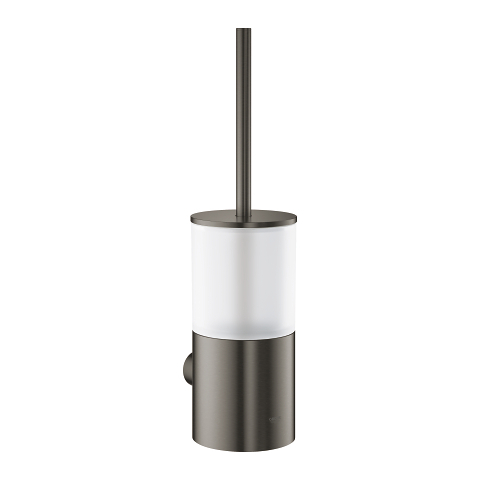 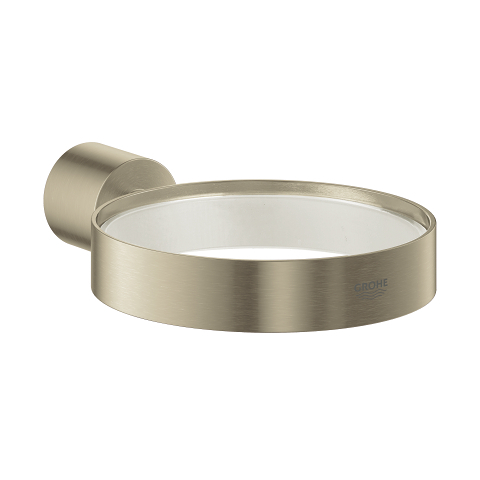 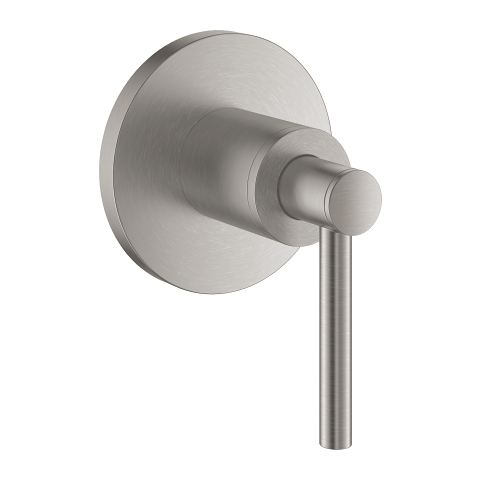 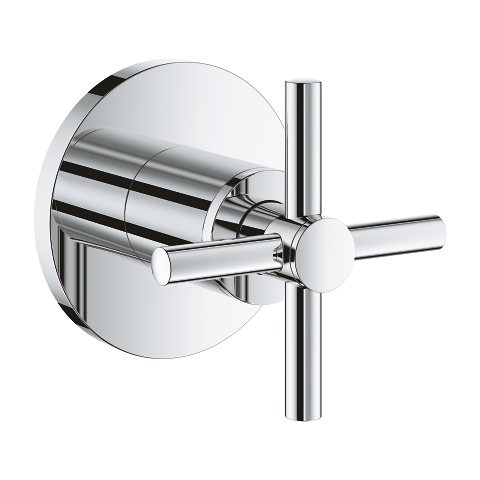 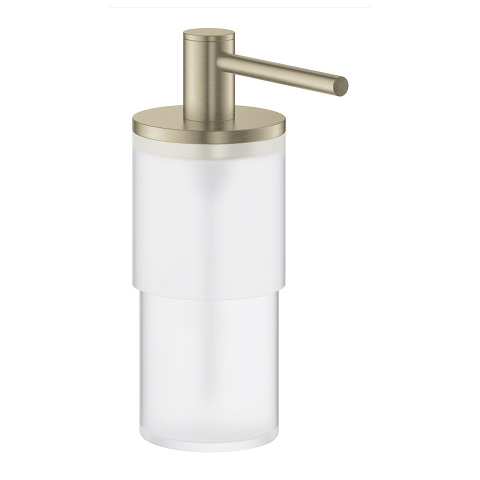 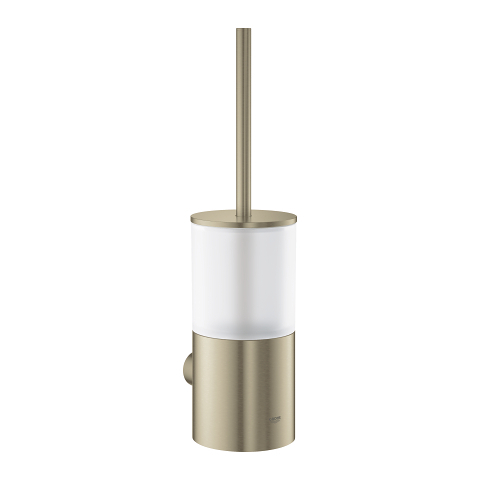 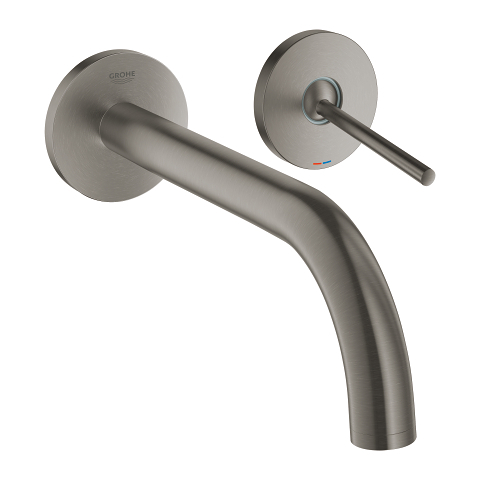 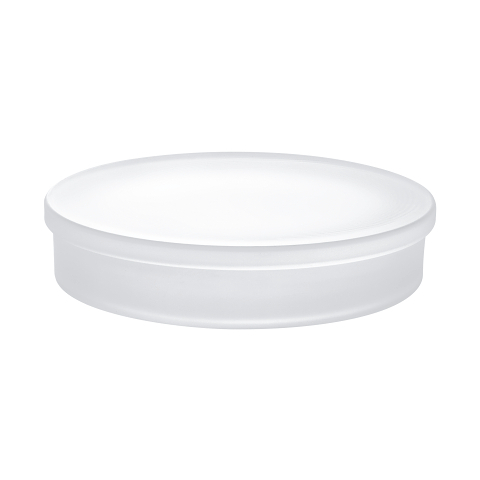 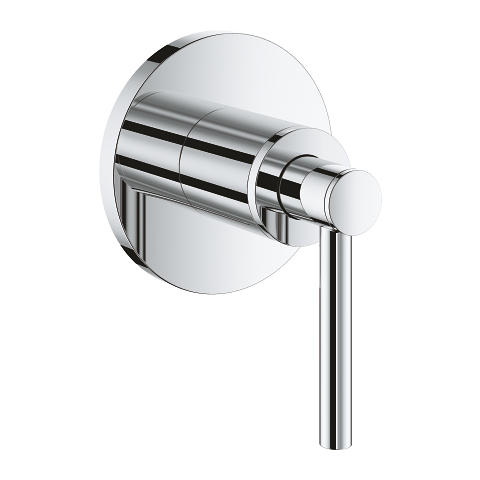 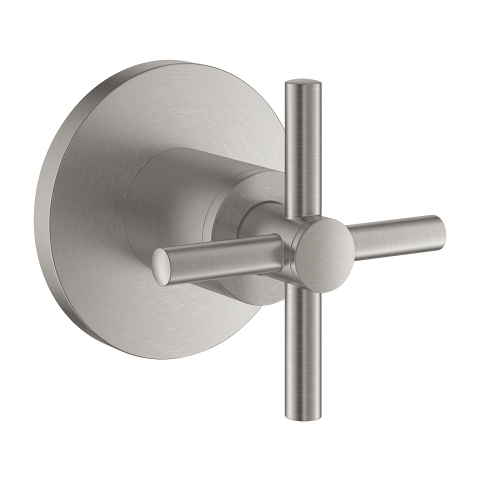 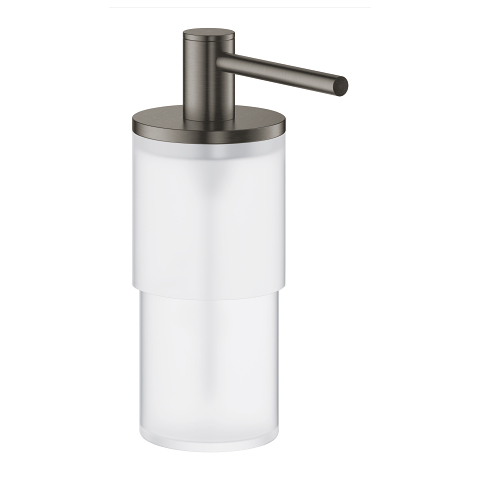 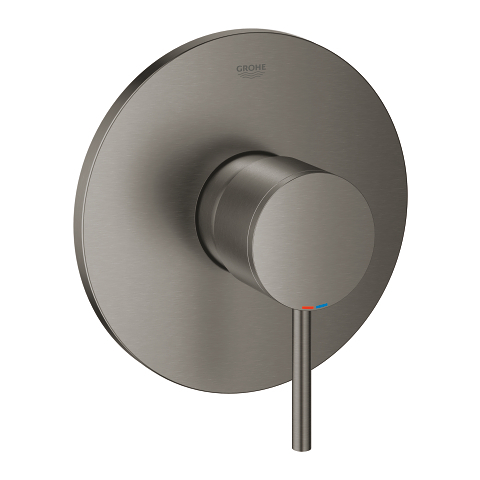 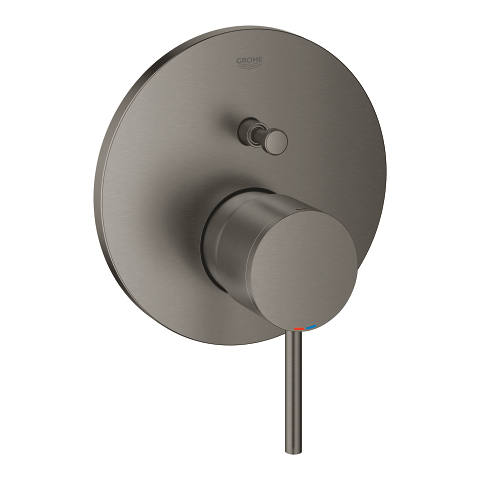 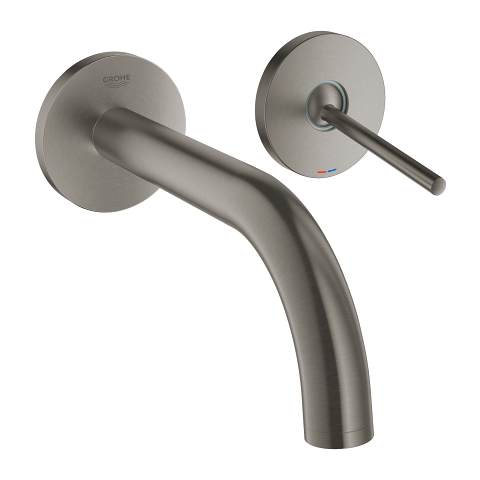 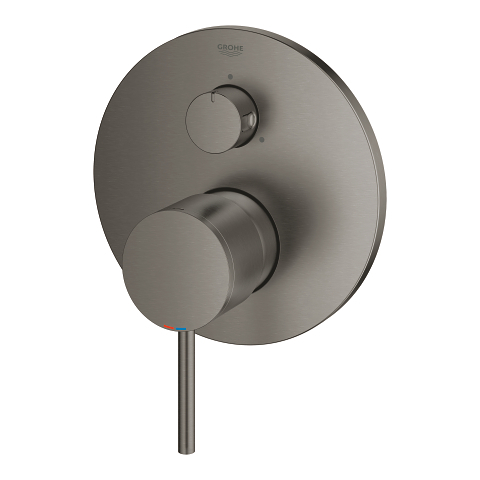 The tactile design invites you to interact, with a metal escutcheon and lever offering a feeling of solidity, and the slim profile – the wall plate has a 158 mm diameter and a depth of only 10 mm – will appeal to design purists. 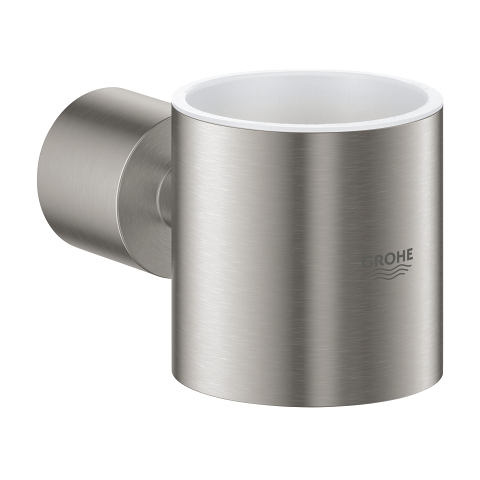 The innovative 3-way diverter projects only 30 mm and allows you the freedom to choose bath spout, head and hand shower with an easy turn. 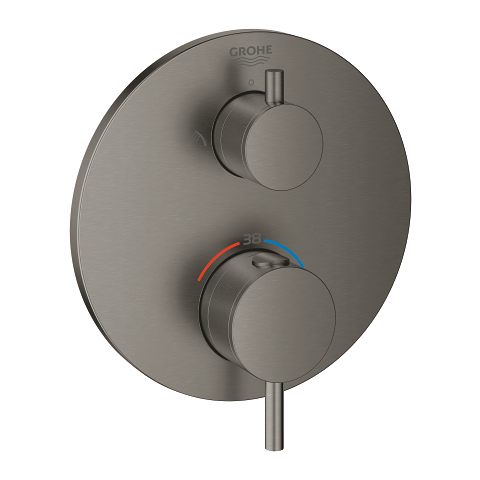 Or to switch effortlessly between hand shower and two spray options of the head shower – for which the GROHE Rainshower SmartActive 2-spray head showers are ideal complement to this set. Thanks to the GROHE SilkMove ceramic cartridge, you can enjoy smooth, precise control of flow and temperature for the life of the set. This stylish mixer will look pristine for years to come as it has a durable GROHE StarLight finish using physical vapour deposition (PVD) for an extra level of scratch-resistance. 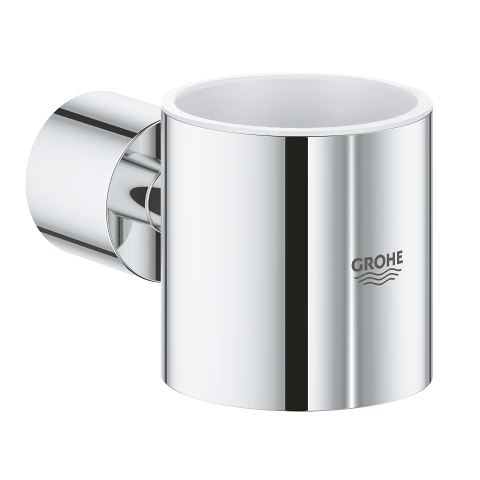 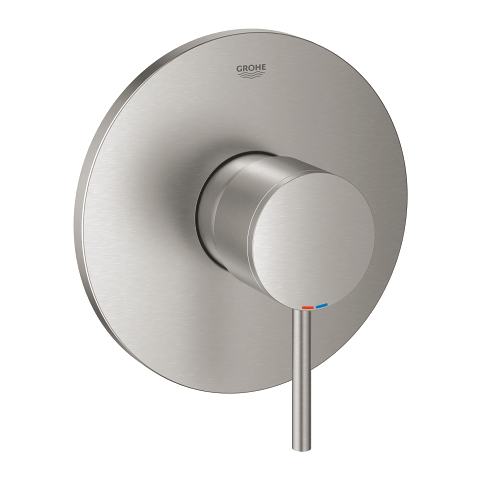 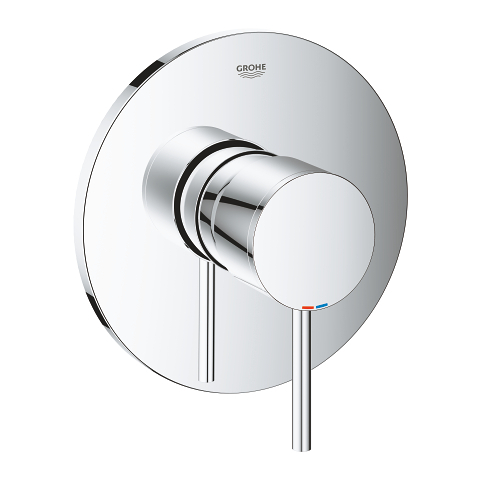 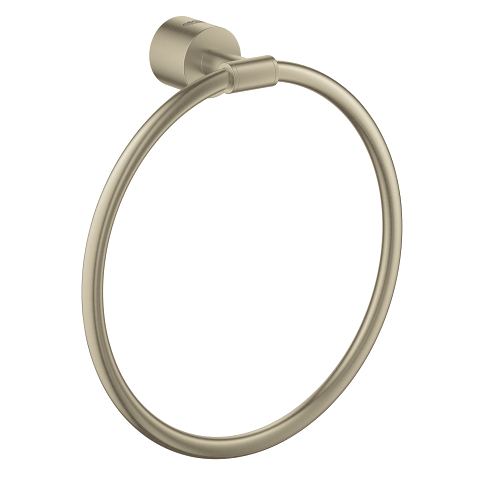 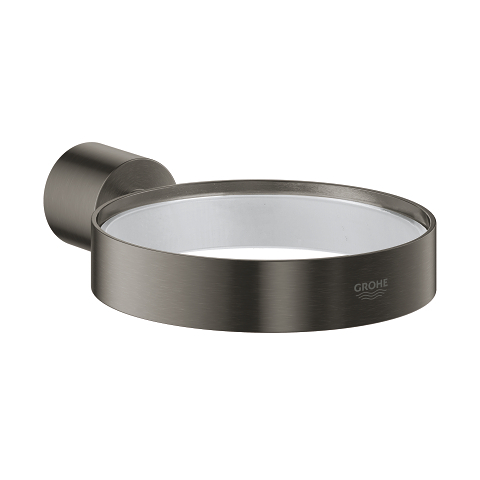 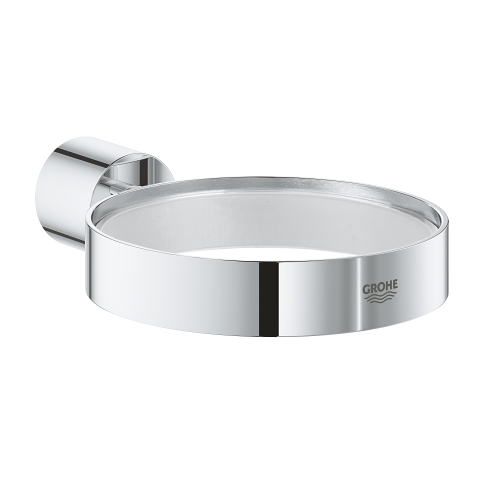 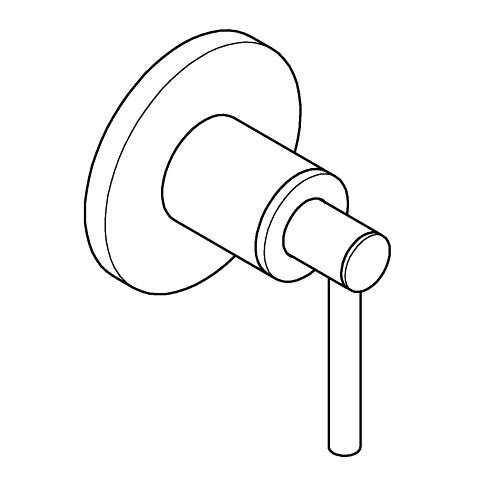 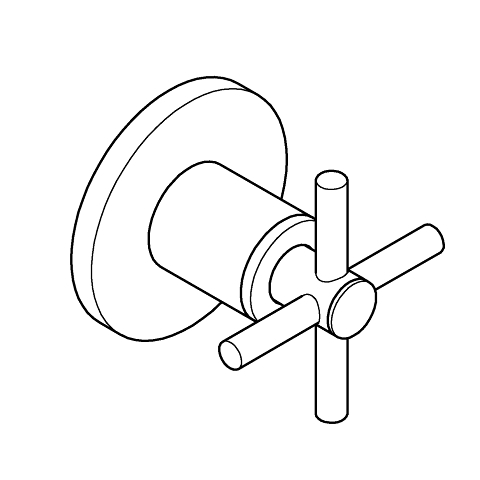 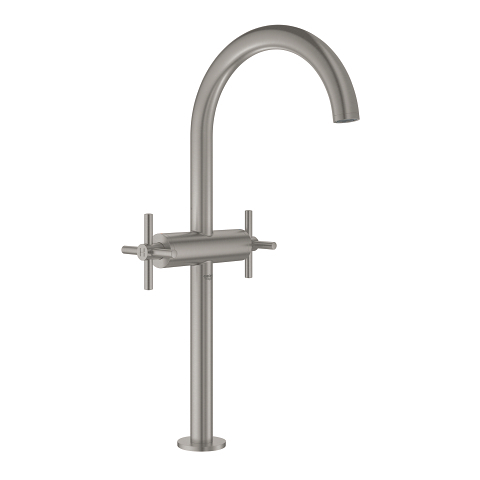 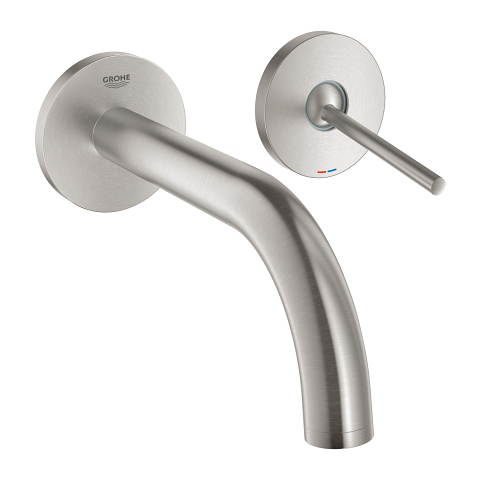 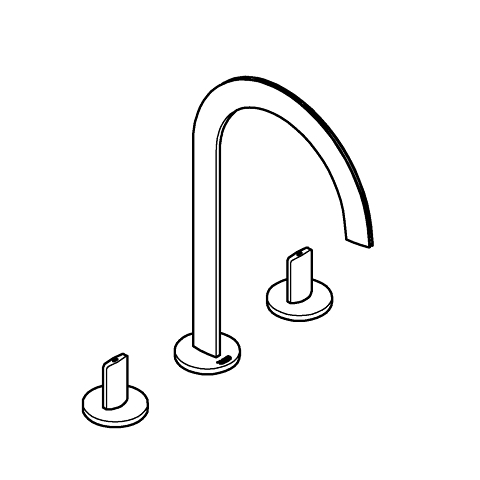 And the GROHE QuickFix escutcheon with a locking system and covered sealing makes the installation swift and easy. 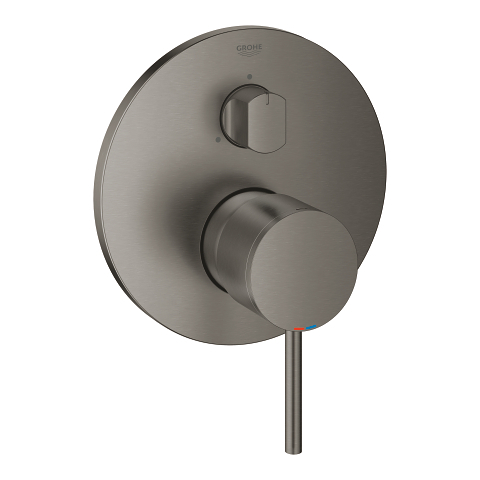 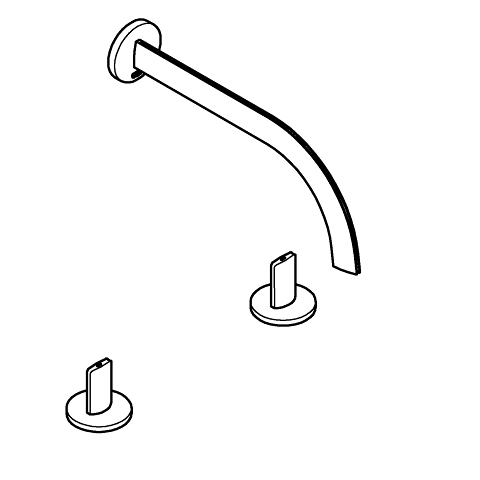 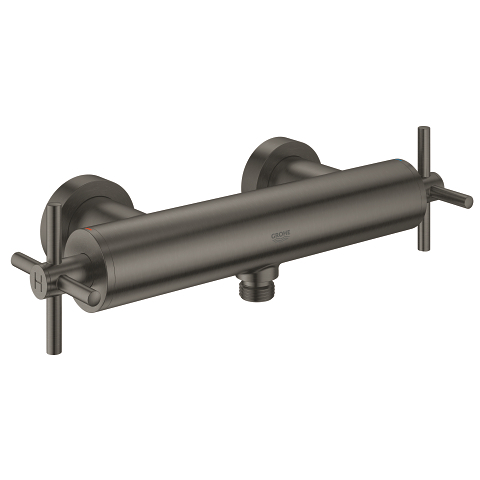 The trim set is designed to be installed with the GROHE Rapido SmartBox universal rough-in box (35600000), sold separately. 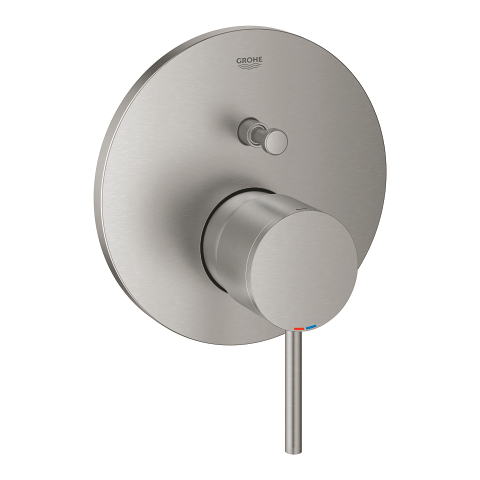 And don’t worry: This combined solution for concealed installation is 100% safe against leakage.